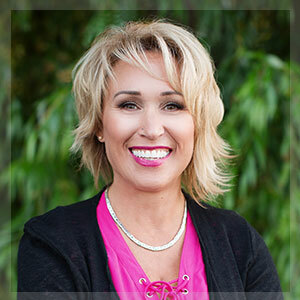 Deb was of great help during the difficult process of selling my home in Blind Bay, BC. In addition to health issues I was involved in a long process with BC Home builders. Deb unfailingly helped, cheered me and supported me. She gave good advice on pricing my home, which was obviously right as it sold quickly and satisfactorily to me. As we were not local residents it was important for us to be able to come to town, get acquainted with the area and become educated about local real estate. Deb was recommended to us and she provided us with great service whenever we arrived, even with short notice. Not only did she provide us with her knowledge and advice on various areas, she gave us well organized and planned showings on available real estate and made good suggestions, all of which helped us move forward confidently on making well-informed decisions. We eventually bought a house here in Salmon Arm through Deb and very much appreciate her hard work in helping this happen. Deb Archambault provided exceptional service in listing & selling our home. She really delivered with professional pictures, a unique feature sheet, an exciting write-up & she proved to be an outstanding negotiator with superb closing skills. She provided us buyer-feedback within 24 hours of a viewing. We recommended her to others who also sold quickly. We have purchased 11 or 12 homes throughout the years & Deb Archambault has been one of the best Agents we have ever hired. This Realtor goes above & beyond what you would expect. “When we decided to focus our Real Estate search in the Shuswap we were given Deb’s name by a Realtor friend, being told that she came highly recommended. Deb responded to our email immediately and set aside a convenient weekend to show us a comprehensive list of homes. We were able to find a beautiful home in Blind Bay and close the deal all while enjoying a great weekend. The time spent with Deb was comfortable and fun, like spending time with a good friend.